In 2013 will start the first UNESCO master "Open Techne" (Open Source technologies for Cultural Heritage). The master is organized by the Istituto di Formazione e Ricerca della Federazione Italiana Club e Centri UNESCO e il Centro di GeoTecnologie (CGT) dell’Università degli Studi di Siena, with the aim to train professionals capable of using innovative open source technologies in the investigation and exploitation of Cultural Heritage. The registrations to the master are open until December 15, 2012. More info are available on the official webpage: http://www.istitutoficlu.org/open-archaeo/. We (Arc-Team) will partecipate to the master, teaching the use of FLOSS in archaeology and focusing the attention on ArcheOS. 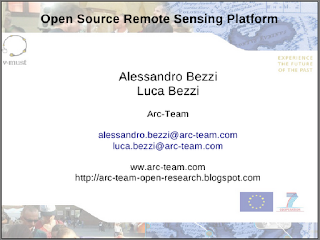 It will be also a nice opportunity to work together with Luca Mandolesi (adArte) and Enzo Cocca (CGT), developers of pyArchInit, to try to better integrate their tool in a specific deb package (untill now we added pyArchInit into an experimental ArcheOS package together with CADtools and BobMax's VTP extensions for QGIS). today ATOR reaches its first year, so I thought to post and analyze some statistics to see how this experiment of shared research is progressing. Until now we have six active authors, who wrote 79 posts. The community reacted with 96 comments, although most of them are written by the authors in response to direct questions from readers. Overall the blog counted 21484 visits (8695 visits since the activation of the Revolver Maps plugin, as you can see in the image below). Today ATOR has 25 members and the general trend is still growing, but sinlge posts may affect the statistics with an increase of visitors related both to the quality of the post and to the interest aroused by the topic. A good example of this situation is the post of Cicero Moraes about forensic facial reconstruction, which has captured the attention of the community of 3D modelers and of physical anthropologists, reching the peak traffic you can see in June 2012 in the graph below. Anyway, the main strength of ATOR and of an open approach to research remains the active collaboration between researchers operating in different fields (not only archaeologists). In this case must be placed, for example, the new collaborations with the 3D artist Cicero Moraes (already mentioned) and with the anthropologist Moreno Tiziani, creator of anthropological association Antrocom Onlus, which publishes the Online Journal of Anthropology. We will go on working with this open philosopy in archaeology, inspired by the Free/Libre and Open Source Software movement, and to further increase the quality of posts in ATOR with the help of the community. As usual, if you want to collaborate, just contact us! Sorry for the slow clip, but I had to virtualize Windows in ArcheOS (within Virtual Box) and the u3d file of the skull is too heavy to create a light 3D PDF file (it was just a first test). I would like to thank the people who noticed the broken link. Their report was very helpful in reviewing ATOR old posts! 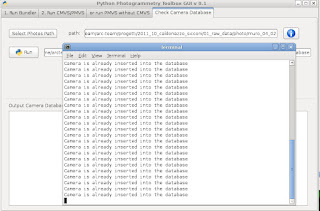 i uploaded a new tutorial on Python Photogrammetry Toolbox. It is available here. 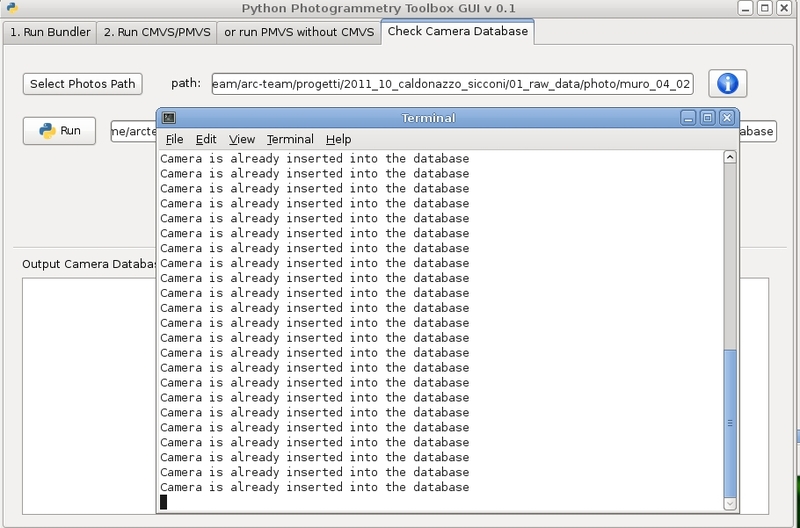 It shows how to insert a new camera image sensor (CCD width) into the Camera's Database of PPT. This is needed to elaborate pictures of a new digital camera. Look this tutorial to go on with the elaboration of the images. In anthropology, the possibility to reconstruct the features of individuals from their skeletal remains has facilitated and encouraged the forensic anthropology and the bioarchaeology. Besides, it made room to paleoanthropology (above all the paleoneurology), when this option is not applied to the reconstruction of a face, but of the specimen itself. Why to use a three-dimensional reconstruction of a skeletal specimen? We must consider, in particular, that the paleoanthropological fossils are of great value (not only from the scientific point of view) because these objects are often unique and they can not be handled too frequently to avoid irreparable damages. Being unique objects, they are rare, and thus the access to them is not easy. And being very old, they need special conditions, monitored constantly to preserved them as best as possible. To move them would be largely a risk. There is also another aspect linked to their uniqueness: the fact that the paleoanthropological fossils are often preserved in places far away and that only a lucky few people can go there. A three-dimensional reconstruction not only avoids facing a long journey, but also allows you to avoid frequent handling, perhaps hasty, and changes in storage conditions. Moreover, the reconstructions based on detailed scans of the specimens allow measurements much more accurate than if done manually. The advantages of such applications are therefore evident and their spread is certainly to be encouraged, especially if the resulting data are shared as much as possible. When the access to the specimen is severely limited for a variety of reasons and maybe years must pass before you see photos and measurements, the advancement of the discipline is also limited. Data sharing carries in itself another advantage: the discussion between researchers annuls, in this way, the possibility of more or less dubious interpretations by a minority of them. Perhaps the same few people who had access to the specimen. Also, if data sharing takes place through free software, analysis of the specimen is enhanced by new data and interpretations, in a cascade process that feeds itself. Incidentally, the word "free", in this context, means generically a software to which all those who wish can access, anytime they want. Of course, the freedom of access should be subordinated to the ability to use the software itself. It's true that an access of this scale and with these tools would lead to consequences of a certain depth both economically and socially. As is the case of goods production, more copies of an object there are, the more its market value is lowered. A unique object becomes, in this way, a commodity. Following these considerations, an object that is cheap is considered of little value, even on the intrinsic meaning. There is therefore a risk that the specimen, though important, is losing its value in the eyes of one of those visitors came from afar to view it. If not in the eyes of the researchers themselves. We must not forget that these findings are part of the cultural and scientific heritage of the countries where they were discovered. Often these are developing countries (I think for example to African countries where the most part of fossils of hominids was found) and for these the specimen may mean different possibilities: visibility at the international level, negotiating power, source of income for local populations through the related activities that is generated by the discovery and subsequent museification. The computerization and the data sharing therefore untie the specimen from its being also a political and economic tool. How much these aspects are taken into account in the process of digitization of specimens and, in general, of data stores? And what can we do to stem the problem, if not to remedy it? 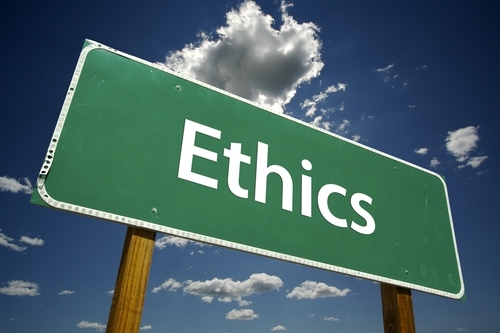 At present, in the absence of specific legislative actions, everyone must rely on his own sense of ethics. I received some mails asking me to explain better the differences between the flying techiniques I mentioned in the previous post. I think that the two videos you can see below are better than too many words to describe this topic. The clips were registered durig our last aerial archaeological project, thanks to the help of Walter Morelli (the pilot). In this movie it is possible to see the normal way to fly with a quadcopter (Direct Visual Flight). The pilot simply uses the radio-command looking directly the drone, correcting the flight from his point of view. It is the basic flying techniques, but it can be difficoult when the UAV is far away from the pilot. In fact, in this situation, it is not simple to understand where is the front or the back of the drone. In this other (very) short movie we can see the FPV technique (First Person View), in which the pilot, thanks to special glasses, has the same point of view of the drone. This way to fly is optimal when a low-altitude flight is not enought and it is necessary to send the drone far away from the pilot. yesterday I gave a lecture about the state of the art in Open Source aerial archaeology, bringing Arc-Team's experience in this field. The lesson took place during the Italian Virtual Heritage School 2012, in the CNR-ITABC's headquarters in Rome and was organize by the V-MUST (Virtual Museum Transnational Network). It has been a good opportunity to share information with the CNR-ITABC team and with the students, focusing on the speed with which free and open source projects develop also in the field of hardware. For example, the first drone we build in 2008, the UAVP, is now obsolete for the "cross-flying" configuration and has been replaced by the newer NG-UAVP project (with an "x-flying" configuration). That's the reason why we build also another prototype (based on the public domain Rolf Bakke PCB), thanks to the help of Walter Gilli. Also flying techniques changed in the meantime, in fact in our last project (http://arc-team-open-research.blogspot.it/2012/04/archeosanduavp-for-archaeological.html) we experienced the First Person View (thanks to the help of the expert pilots Walter Morelli). Moreover it looks like that currently the GPS integration in the motherboard is revolutionizing both drones and flying techniques. Anyway, for those who are interested, I uploaded the slides of the lesson at CNR-ITABC here. I hope it will be useful, even if no more up to date it can be a starting point to work in Aerial Archeology with Open Software and Hardware.